Nice beautiful 3 bedroom house in Farnham royal which is South bucks area / Slough. It has got three bedrooms, having one King size bed, 1 double bed & 1 single bed. Fully integrated and equipped kitchen with all appliances etc. 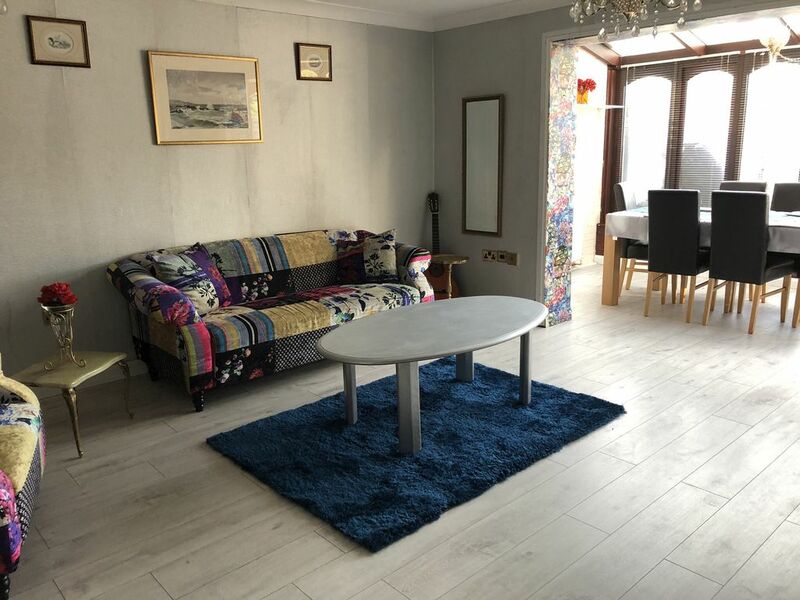 Well presented living room, conservatory and small garden. Ample parking is available. Lovely area, burn-ham beaches is just few min walk away. Dukes pub is on the corner. It is just 10 min drive to Windsor & 30 min Legoland n Thorpe park n London n by train 17 min. Lovely area, Burnham beaches is on a walking distance. A small garden and you can do bbq as well. Farnham Golf course is just 5 minutes drive. Burnham Golf course is 8-9 minutes drive and Wexham Golf course is just 10 minutes drive from the property.